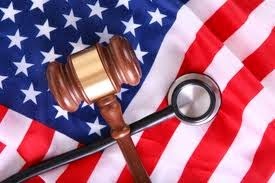 While the Collateral Source Rule has been around for a while, the Affordable Care Act is a relatively new law. The Affordable Care Act actually refers to two separate pieces of legislation — the Patient Protection and Affordable Care Act (P.L. 111-148) and the Health Care and Education Reconciliation Act of 2010 (P.L. 111-152) — that, together expand Medicaid coverage to millions of low-income Americans and makes numerous improvements to both Medicaid and the Children's Health Insurance Program (CHIP). Review the law by section." The issue of whether the defense in a personal injury litigation may refer to the Affordable Care Act during the course of a jury trial was recently addressed in the case of Deeds v. University of Pennsylvania, No. 755 EDA 2014, 2015 Pa. Super. 21 (Pa. Super. Jan. 30, 2015 Lazarus, Wecht, and Strassburger, J.J.)(Opinion by Wecht, J.). In Deeds, a defense verdict in a medical malpractice case was reversed and remanded for a new trial. On appeal, the Plaintiff argued, in part, that she was "entitled to a new trial because the trial court violated the collateral source rule when it 'improperly allowed [the Defendants] to inform the jury that [the Plaintiffs’] substantial medical needs were all being attended to at little to no cost to [the Plaintiffs’] legal guardian due to the existence of state and federal education and medical benefits programs.” Op. at p. 4. The defense referred to Medicaid as well as to how President Obama's Affordable Care Act would impact the future care costs in the case. I send thanks to Attorney Paul Oven of the Moosic, PA office of the Dougherty, Leventhal & Price law firm for bringing this case to my attention.